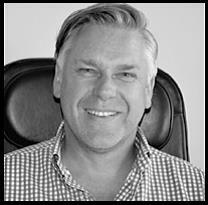 Gijsbert van Doorn (1963) is Financial Director and co-founder of Ecopower International. Mr. van Doorn supervises all financial activities. He resides in Curacao (Dutch Caribbean). He has served on various Executive Boards and has over 25 years of international management experience in the financial services industry, with extensive exposure to mergers & acquisitions and the financing thereof. Since 2011 he is active as an independent interim and restructuring manager. He is Chairman of the Board of Supervisory Directors of Inter Assure General Insurance BV, Curacao. During career in financial services at ENNIA (insurance, retail- and investment banking), AEGON (insurance), E-concern (renewable energy), KPMG (Audit) and other companies, held various senior management and leadership positions in general management, financial management, project management and business development. Lead various merger & acquisition and other projects. Postings were in The Netherlands, UK, Taiwan and the Netherlands Antilles, even though work involved a much broader range of countries in Europe and Asia, North and Central America and the Caribbean. As an executive interim & restructuring manager, he has completed various engagements in the financial sector (including restructuring of the German loan portfolio of Dutch domiciled SNS Property Finance). Currently working on some new global insurance initiatives. From 1984 to 1993 he was an auditor with KPMG and during this time he completed his certification as a Certified Accountant by the Netherlands Institute of Register accountants (NIVRA); Register accountant (RA). He is fluent in English, German and Dutch (mother tongue).